The head of U.S. Central Command told senators Tuesday that retaking key Islamic State group strongholds in northern Iraq and Syria will take "additional capabilities" in coming months, but would not specify if that means more American ground forces. 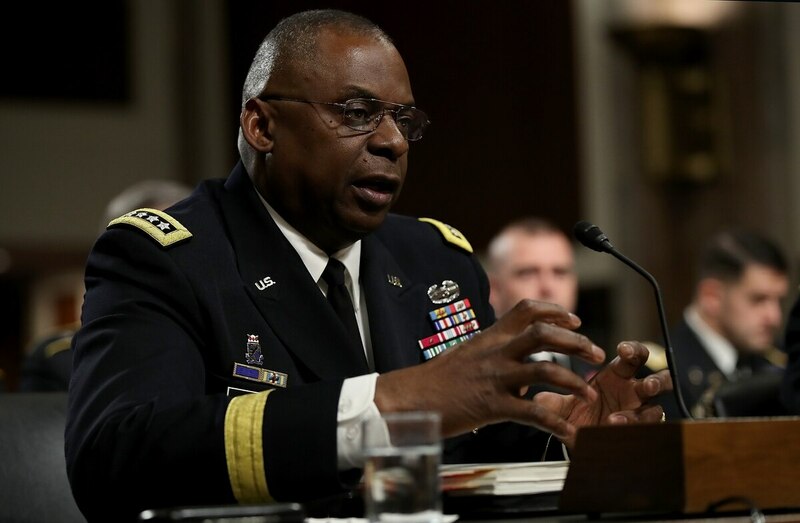 Gen. Lloyd Austin III said his staff has already made recommendations to Pentagon leaders for those additional needs, and expects to hear back on those requests soon. He would not detail the requests to members of the Senate Armed Services Committee. "The approach we have used is to use indigenous forces to conduct the operations on the ground and enable those forces with our aerial fire," he said. "As we look ahead, there will be things we want to increase the capabilities, increase the pace a bit." Last month, Defense Secretary Ash Carter outlined broad plans to retake ISIS power centers in the two countries, including encircling key cities with Iraqi security forces and U.S.-backed rebels. Just days later, the top U.S. general in Iraq hinted that type of conventional warfare approach may require a boost in U.S. ground forces. About 3,700 U.S. troops are deployed in Iraq, in training and advising roles. A special operations force of nearly 200 more is also active in the region, conducting more aggressive, offensive operations against the Islamic extremist group. Austin would not say whether he'd prefer a larger force, though he did concede to senators that more U.S. troops in the fight could increase intelligence gathering, training capabilities and logistical coordination. Lawmakers have frequently sparred in the last year over whether the new U.S. footprint is too small to defeat the growing Islamic State threat or so large that it threatens to pull American forces into another open-ended foreign conflict. 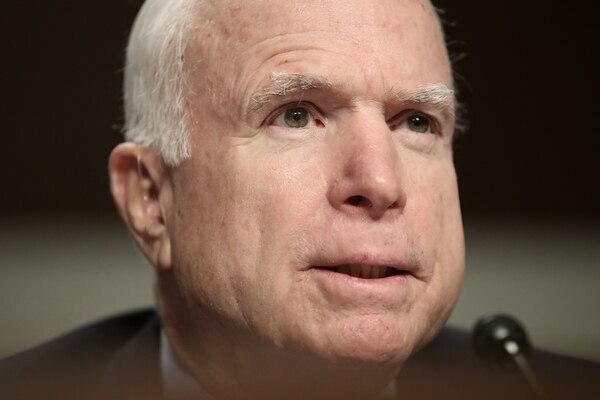 At Tuesday's hearing, Senate Armed Services Committee Chairman John McCain, R-Ariz., again panned the White House's strategy in the region as poorly thought out, and criticized the heavy load it places on special operations units. Sen. John McCain listens as Army Gen. Joseph Votel, commander of U.S. Special Operations Command, testifies before the Senate Armed Services Committee on Tuesday. "More than 15 years of continuous deployments, due in part to an over-reliance on their unique capabilities, has led to unprecedented stress on the force," he said. "While we marvel at our special operations forces, we must remember they are just one part of our force and our strategy. They are not a magic solution to every problem or a substitute for coherent strategy." Both Austin and Gen. Joseph Votel — the head of U.S. Special Operations Command who has been nominated to replace Austin — told lawmakers that Islamic State fighters represent the greatest short-term threat to U.S. security in the Middle East. But over the long-term, both men are more concerned with Iranian support for terrorist groups and interference in neighboring governments' operations. Austin said he is confident that U.S. forces and allies "are defeating ISIS in Iraq and Syria" by degrading their military and economic resources. But he also acknowledged that the fight will continue for some time ahead, and require "a lot of work and focus" from both American and Iraqi leaders.